Maria was a mother, a friend, a wife, and an all around amazing person. She was born on May 11, 1967 to dairy farmers in small town in Northland, New Zealand. She lived on the farm until the age of 13 when she attended Saint Cuthberts boarding school. Choosing to go to boarding school was one of several pivotal decisions in Maria’s life. Leaving home, making many lifelong friends, and gaining the knowledge to eventually get a degree in occupational therapy all set her on a path toward travel and adventure. After taking a vacation from her job as an occupational therapist to work in a ski chalet in France, and then travel the world, Maria found the gift of whitewater on a multi-day raft trip on the Sun Kosi River in Nepal. She went on several more river trips in Nepal right after that, and her journal from those weeks has enthusiastic descriptions of river life. Her passion for the river is already apparent in her words, and at the top of one of the pages she wrote, “WHEN I GROW UP I WANT TO BE A KAYAKER.” She loved the river so much that she eventually got a job raft guiding in Nepal. This is where she met my dad, Nick Williams. From here, Maria’s life would never be the same. 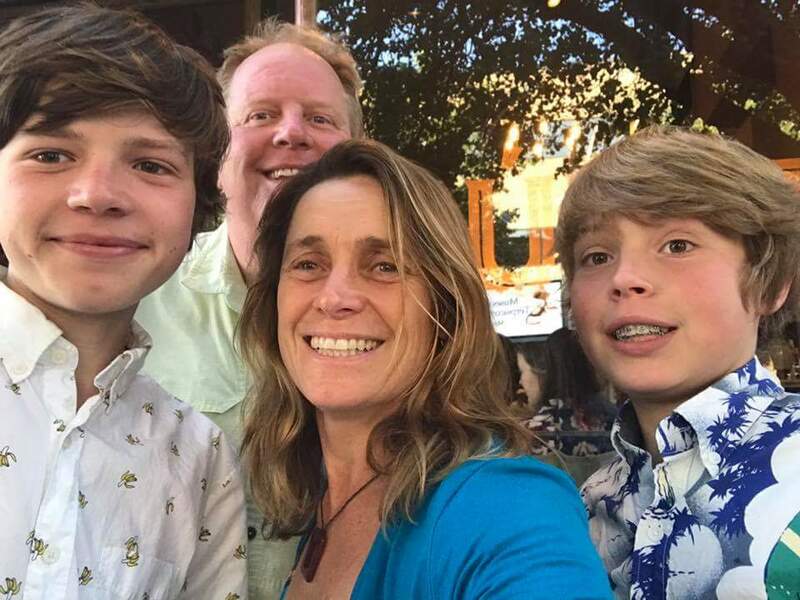 She learned how to kayak, and she followed Nick to Bryson City, N.C. where they built their dream house and showed me and my brother Matteo how to love the outdoors, especially the river. 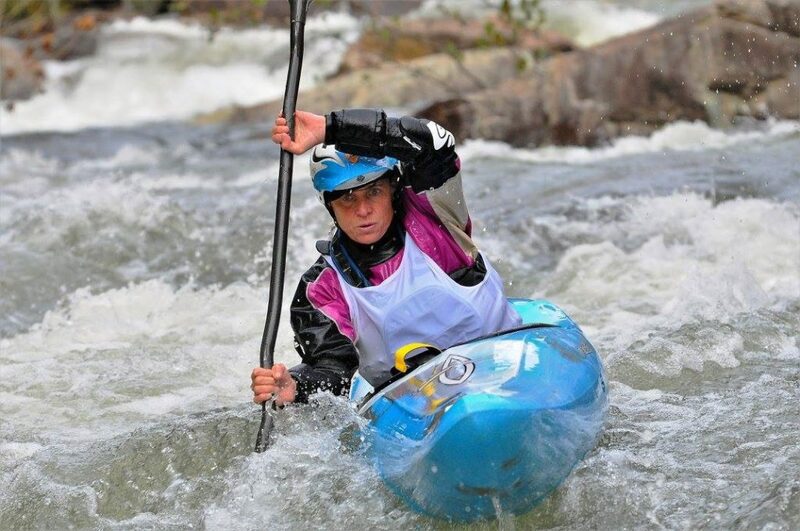 On March 3, 2018, Maria died tragically while whitewater kayaking on the Cheoah River, close to Robbinsville, N.C. 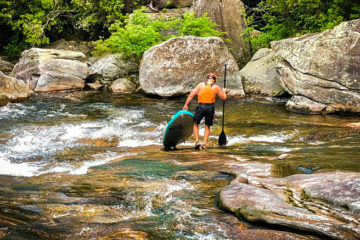 The Cheoah was one her favorite rivers and one that she had paddled over a hundred times. 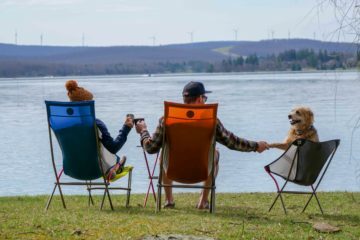 We will never know exactly what happened that day, but we know that she would have wanted us to continue to love the river in her memory. Maria changed and touched the lives of so many people, which was apparent from the 700+ people who showed up at her memorial service, as well as the huge community of people worldwide that watched online or posted on her Facebook page. As I take time to reflect on my mom, I remember the good moments in her life and am grateful that I was fortunate enough to be a part of it. These good moments in her life defined my mom. Some may see her death as she died too soon, but I look at it as her living every moment to the fullest. Living every moment to the fullest really characterized my mom. There was little time in her life when she wasn’t kayaking or biking, often with Matteo and I along. And if she wasn’t actually out doing something, she was planning the next adventure. This comes to the subject of risk. Risk is very complicated, but I define it as doing something with the chance of it going wrong. My mom loved taking risks, whether it was marrying an American or working in London, but she always did so in a calculated way. Taking risks allowed her to build a life of adventure, one which she shared with me and hundreds of others. As we look back on her life, and her death, we see that risk shaped her and allowed her to touch the lives of so many. What if she hadn’t learned to kayak? Or traveled to Nepal? Or had kids? Who would she be, and who would I be, if she had not taken on these challenges? She taught me to take risks, live life to the fullest, and to be your best. These lessons I will carry with me forever. As you move through life, I challenge you to live life to the fullest, take risks, and live like Maria. 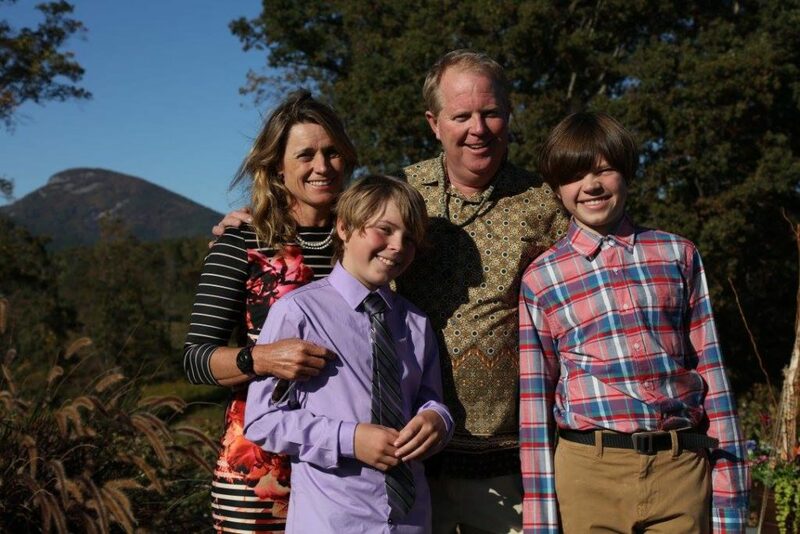 In order to honor her legacy, Dom and his family have established the Live Like Maria Memorial Fund at the Community Foundation of Western North Carolina. 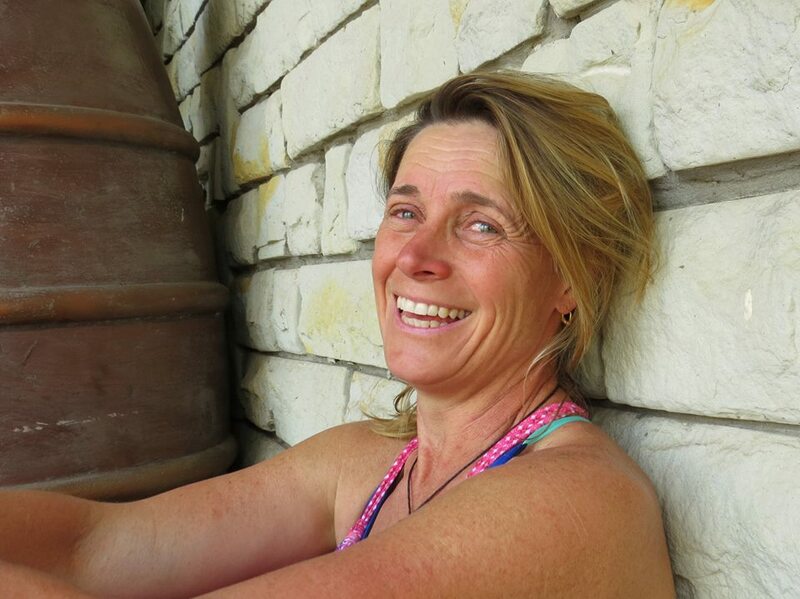 Donations into the fund will be directed into causes that were close to Maria’s heart, including paddling instruction and outdoor experiences for youth, river conservation and access, and empowering women in outdoor adventure pursuits. Contributions of any amount may be made by check and should be sent to “CFWNC” with “Live Like Maria” in the memo line and mailed to The Community Foundation of Western North Carolina; 4 Vanderbilt Park Drive, Ste. 300; Asheville, NC 28803. Gifts may also be made online at www.cfwnc.org; click “GIVE NOW” in the upper right corner of the home page, then choose the “Live Like Maria Memorial Fund “ from the drop-down menu. Previous ArticleWho Will Be Crowned The Top Adventure College Of 2018?